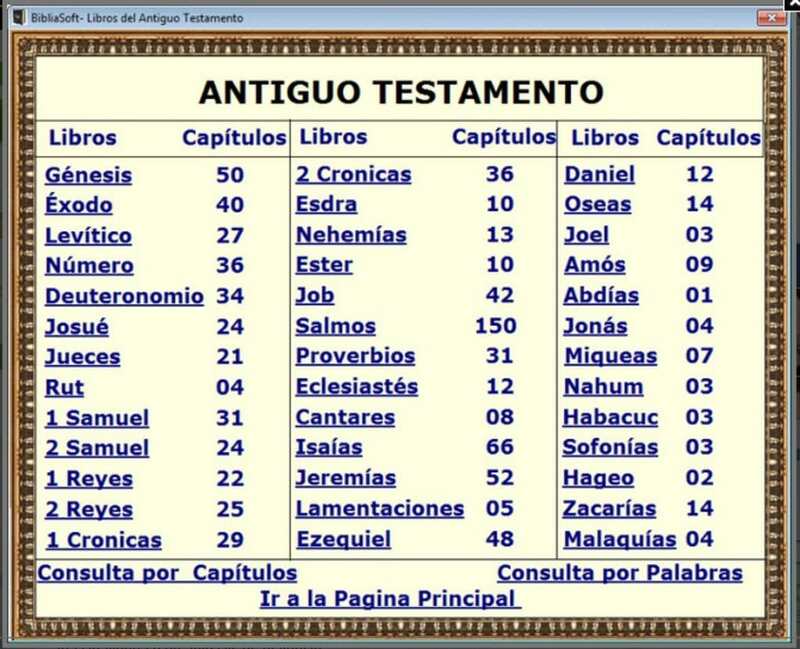 If you check your daily Bible constantly while you're on your computer, and you're a regular reader in English, Download BibliaSoft Inglés and can consult for instant, quick access to a particular search, whether you know the chapter and verse accurate or just remember some specific word or phrase. 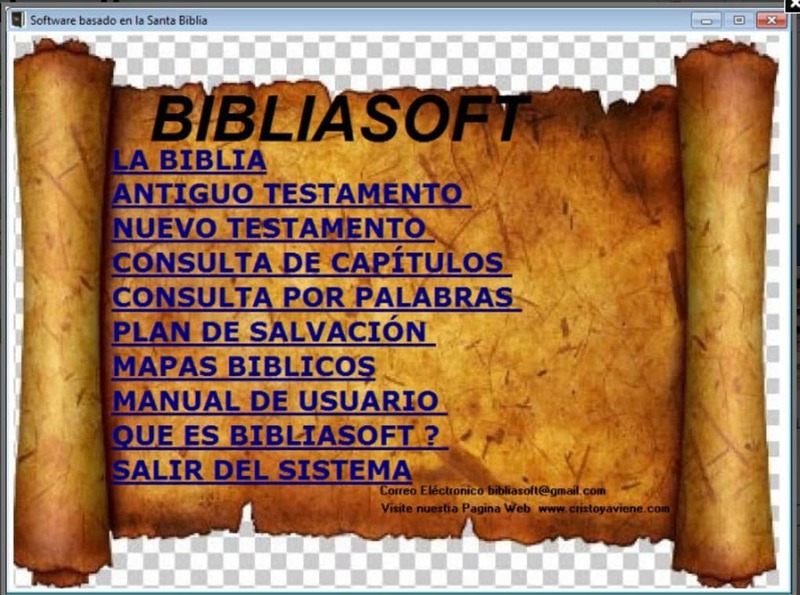 The aim of the electronic tool BibliaSoft for Inglés is that you can copy or export any biblical content to Word, Excel, PDF or even HTML for publishing on the Web. 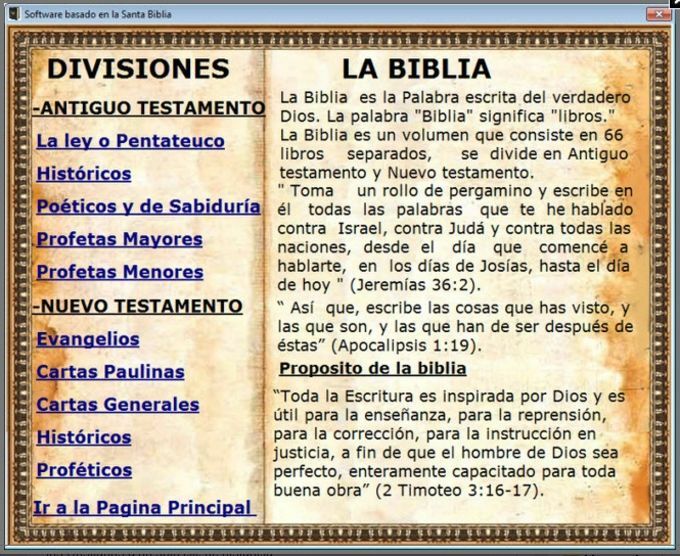 If you just want to read the Bible or have the need to constantly consult, you will be interested to know also that BibliaSoft for Inglés has maps ranging from Genesis to Revelation, and that show was so pleasant as the life of men and women who appear in Scripture. This software is completely free, and is very different from other programs because it is freely available, you can copy it, give away and distribute to your friends, family and brothers in Christ. We can use all kinds of people, whether of any creed, race, or religion, Christians, Catholics, Jehovah's Witnesses, among many, everyone can use. What do you think about Bibliesoft? Do you recommend it? Why?